Miss Sunset, a California-bred daughter of Into Mischief, seeks her fourth straight stakes win in the Grade I La Brea for three-year-old fillies at seven furlongs on opening day. 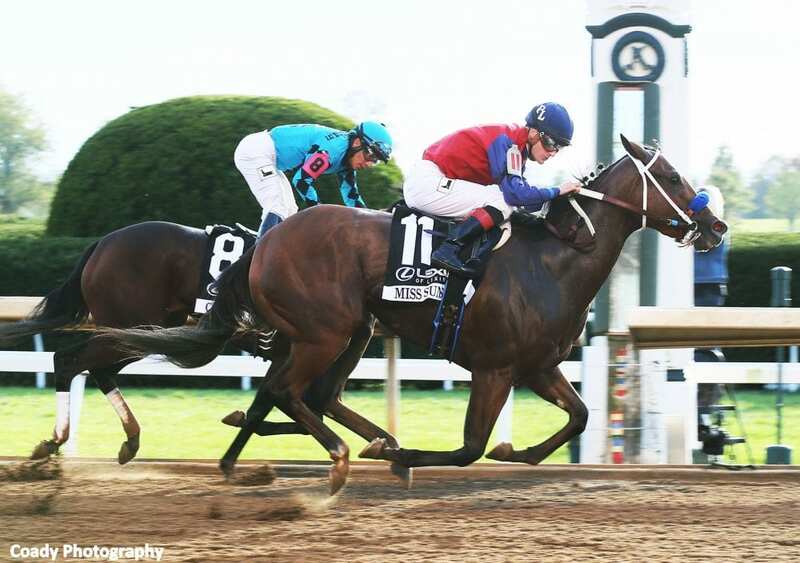 Her biggest win came in the Grade II Raven Run at Keeneland Oct. 21 under Julien Leparoux, who will be back aboard Tuesday. Bonde also plans to enter Princess Karen in the La Brea, with Kent Desormeaux aboard. She won the Beverly Lewis at Los Alamitos Sept. 9 under Desormeaux but was fifth last out Nov. 4 in the Breeders' Cup Filly & Mare Sprint. Princess Karen worked four furlongs Wednesday morning in 48.20. Paradise Woods pleased Mandella with a five furlong work this morning in a minute flat under Nestor Capitaine. This entry was posted in NL List, Racing and tagged jeff bonde, La Brea Stakes, lexus raven run, miss sunset, santa anita by Ed Golden/Santa Anita. Bookmark the permalink.